Grainger Town lies at the heart of Newcastle stretching up the hill from the train station and including its main theatre, market and Cathedral. The neighbourhood is probably best known for Grey Street, voted on a number of occasions as the finest street in Britain and described by John Betjeman thus; ‘I shall never forget seeing it to perfection, traffic-less on a misty Sunday morning. Not even Regent Street can compare with that subtle descending curve’. Grey Street is however just part of a planned extension to Newcastle dating from the 1830s. There once stood a house within extensive grounds on the site. When this became available a competition was held to extend the medieval city into the area which was won by Richard Grainger, a local builder, who created what today we would call a masterplan for the area. He set about developing the neighbourhood in a remarkably short period between 1835 and 1842 including the new Theatre Royal, Market and Assembly Rooms (all because his plan necessitated the demolition of the original buildings). The composition was completed with the erection of Grey’s Monument, by the same sculptor as Nelson’s column and commemorating the Prime Minister Earl Grey’s role in passing the Reform Act. While Grainger Town was built at the start of the Victorian period, Grainger preferred the architecture of earlier times and the design owes more to Edinburgh New Town and Bath both laid out more than 50 years earlier. 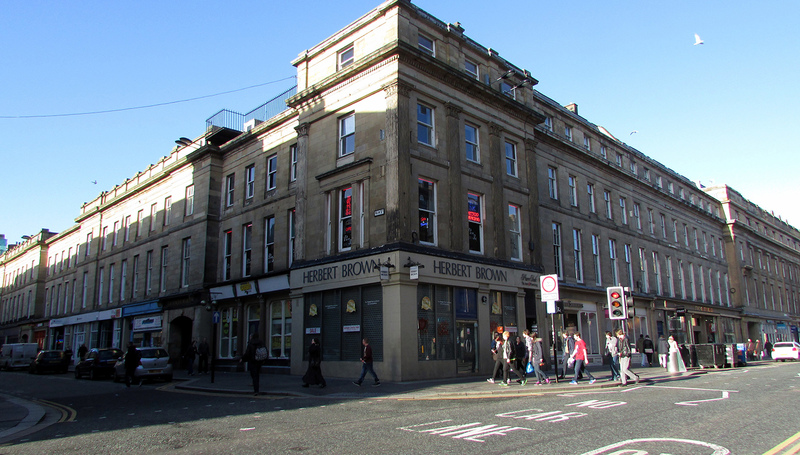 The neighbourhood created by Grainger was integrated into the surrounding medieval city, particularly the Bigg Market and the whole district became known as Grainger Town. This is an extraordinarily coherent architecturally with 450 buildings, 244 of which are listed (29 of which are Grade 1 and 49 are Grade 2*). Like all cities Newcastle has suffered from insensitive planning and poor quality architecture, notably the destruction of the fine Georgian Eldon Square just to the north of Grainger Town to create a shopping centre. Grainger Town largely escaped this destruction only to succumb to economic decline. By the early 1990s there was a million square feet of vacant space in the area and 47% of its listed buildings were considered to be at risk. Into this context came the Grainger Town Project, an SRB-funded regeneration partnership between the City Council, English Heritage and English Partnerships. The project worked for six years between 1997 and 2003 on the regeneration of the area investing some £40 million of public funds. The achievements of the project are impressive. Since 1997 1500 jobs have been created together with 286 new businesses, 80,900m2 of new and improved commercial floor space, just under 600 apartments and 121 buildings bought back into active use. The results can be seen today in Grainger Town’s thriving economy, lively streets and beautifully refurbished buildings. The Grainger Town Project was fortunate to be active during a period of economic revival in cities such as Newcastle. It is likely that much of the regeneration would have happened anyway. Nevertheless the project can claim credit for accelerating and guiding the regeneration of the area. The outlook of the project from the start was heritage based. This is perhaps not surprising given the legacy of listed buildings in the area. The public realm works are understated and traditional in design and the building restoration work historically correct. There are good examples of contemporary design particularly in the interior of buildings such as the refurbished assembly rooms. However the project could perhaps be criticised for having been slightly conservative in outlook. However the Academy Award is for the area, rather than the regeneration initiative and Grainger Town today certainly is as good as any neighbourhood in a British city centre. Its streets are beautifully proportioned and its architecture has coherence and unity. The area is also an economic success, the retailing that had died-back in the north of the area has revived strongly. The area has also re-established its role as a location for professional offices as well as developing strong cultural and evening uses. At the heart of the area sits the Bigg Market, infamous for hard drinking and young people braving winter weather in just tee shirts. This continues as strongly as it ever did and it is remarkable how little this affects the character of the rest of the area without the tensions found in Temple Bar or even Soho. This is perhaps because the area is large enough to absorb different uses. Grainger Town is therefore a worthy contender for the Great Street category, quite apart from its architectural merits it is a lively mixed-use quarter that successfully accommodates a wide range of uses, retailing, housing, business and leisure. Today you would not believe that it was ever at risk yet, like Temple Bar, it was just 10 years ago. The change in that time has been extraordinary and illustrates that the art of creating great places, (otherwise known as urbanism) is alive and well. Grainger Town looks very good now that it has been restored. I am a big fan of photographing facades there at dusk.